Rustic style Ring Bearer Box, an alternative to a Ring Bearer Pillow. 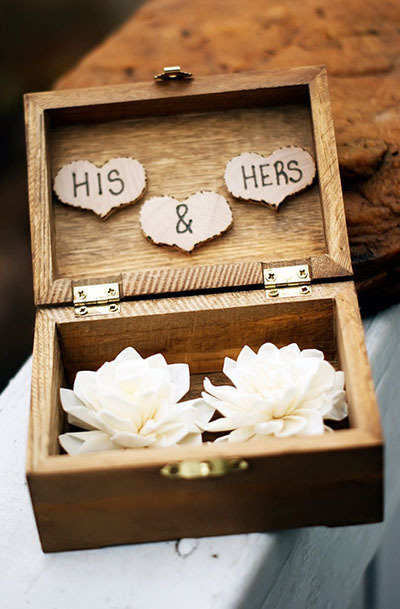 This box holds both his and hers rings in soft sola flowers. This is an adorable way to present your rings. Makes for awesome photos as well! The size is 4.5'' x 3.1'' x 1.8''. "HIS" & "HERS" heart charms are also added to in the inside lid, as pictured. The engraving on top of the box can be customized to whatever you'd like!